I found this sewing machine abuse ad in one of my vintage magazines. This ad is a little creepy to me! Mentioned you on my bog today. I am addicted to that little pattern you sent me! 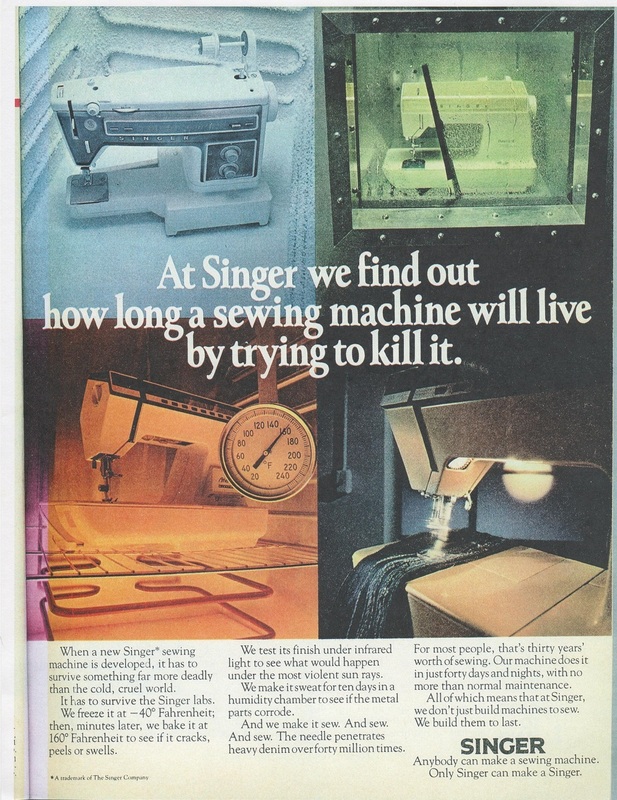 Too bad Singer doesn't still make their machines that well--my repair advises to NOT buy a Singer. Those old machines are still the better ones.